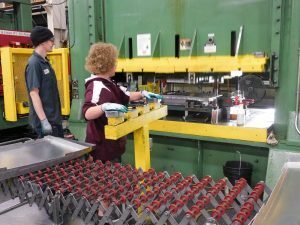 Bloomer manufacturers PMI, LLC, AJ Manufacturing and Catalytic Combustion joined forces with the Boy Scouts of America for a local Manufacturing Exploring Program. 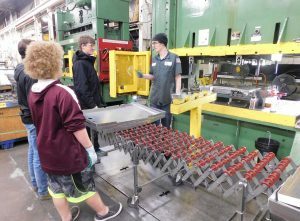 Bloomer High School students experienced first-hand what career opportunities are available in local manufacturers. In addition to production positions, students learned about the variety of “behind-the-scenes” positions needed to make a successful manufacturing company, including Engineers, Quality Technicians and Programmers.